Vrindavan was the epicenter of Krishna Leela (pastimes) as the lord spent his childhood here after being born in the nearby town of Mathura. 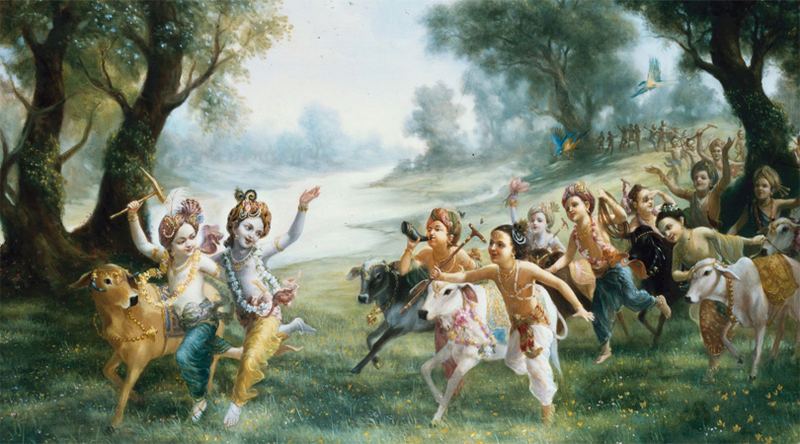 Many captivating mythological tales describing Krishna’s playful activities with gwalas and gopis (cow herding boys and girls), his eternal love with Radha and his acts of slaying demons and protecting the residents brewed here. The fact that many places still testify those tales and events attract pilgrims as well as other tourists to this spiritual town in the state of Uttar Pradesh. Due to close proximity to India’s national capital, planning a Delhi Mathura Vrindavan tour and exploring these sites is surprisingly convenient. In case you plan such a tour in the future, here are the places with mythological beliefs that are simply worth visiting. 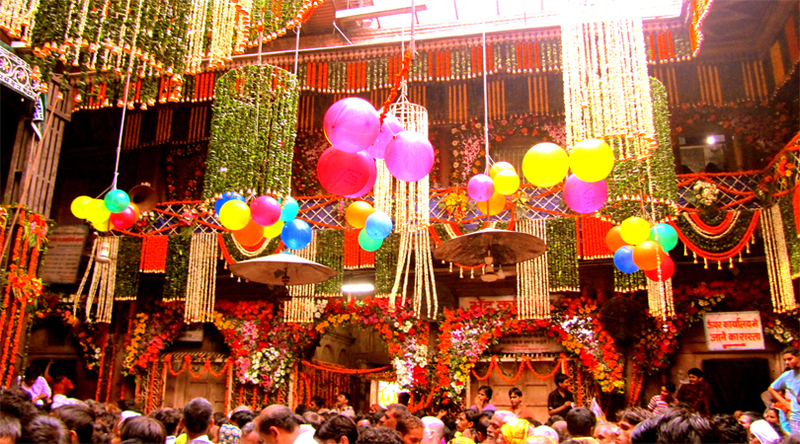 One of the world’s most visited Krishna temples, Banke Bihari Temple houses a stunning black image of the Lord. According to the popular belief, one should not look into the hypnotic eyes of the idol for long or the person may lose self-consciousness by their charm. This is the reason that the idol is kept behind curtains and there is a limited Darshan time per devotee. Take a Temple Tour of India to Alleviate your Soul. Devki gave birth to Krishna in a prison in Mathura where she was imprisoned along with her husband by her brother, the demon King Kansa. The exact location of Krishna’s birth has been converted into a beautiful temple which draws flocks of devotees every single day and is counted among the best Mathura Vrindavan famous places. Nearby, there is a Kesava Deo Temple, which is believed to have been built by Krishna’s great-grandson Bajranabh. Top 8 Famous Temples in Uttarakhand. River Yamuna witnessed the human journey of Lord Krishna from close and many of its ghats bear testimony to a number of events. 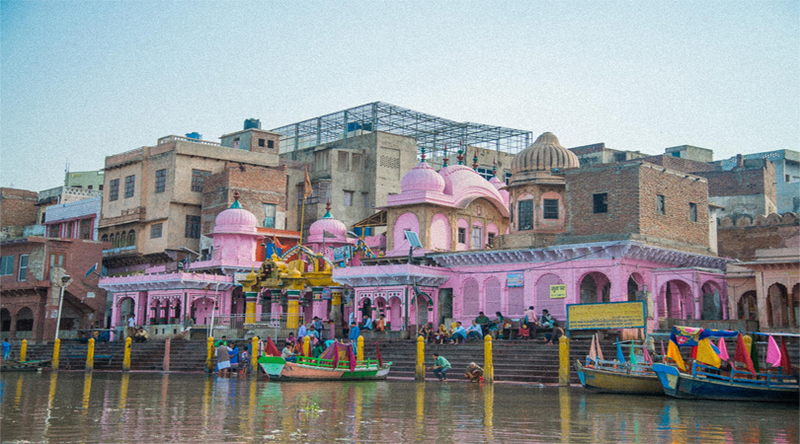 Vishram Ghat is the Yamuna’s bank where Krishna rested and took a bath after killing his demon uncle Kansa. Another legend states that Yama (the God of Death) granted a boon to her sister Yamuna that anyone taking bath at this place would attain moksha (salvation). Probably the most interesting destination in Vrindavan, it is the garden where Krishna and Radha performed a Rasa Leela (aesthetic dance) along with gopis (Radha’s friends) every night. It is firmly believed that the hollow trees (in rare shapes) in the garden are actually the gopis who come to life every night as Krishna and Radha descend on earth to perform the dance even today. Though, the access to this place is restricted at night (those who tried were turned blind, deaf and dumb), one can hear the melodies of a flute and anklets from a distance. Do visit the place during daytime. 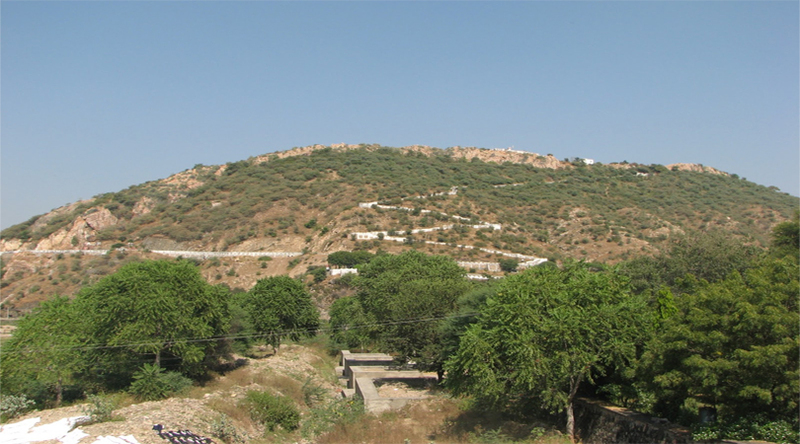 Popular as Giriraj (King of Hills), Govardhan Hill is considered as the aniconic symbol of Lord Krishna. When Indra (God of Rain) relentlessly poured rain in the region, causing a threat to the lives of the residents, Krishna lifted the massive hill on his little finger to create a shelter. Since then, the hill has been worshipped and there is a tradition to circumambulate the hill. 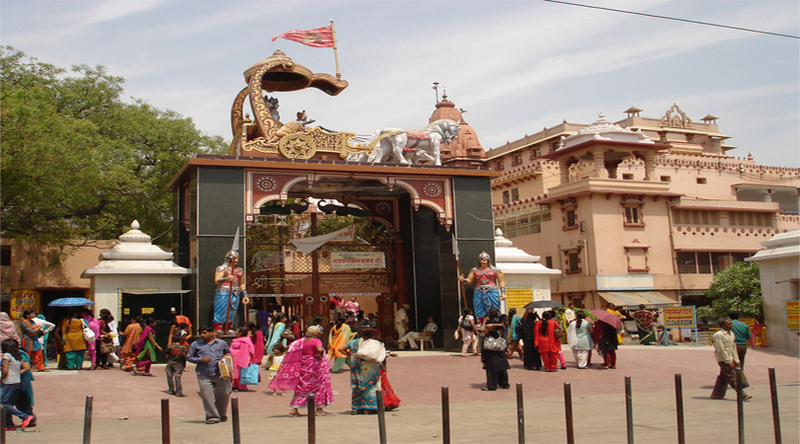 It is indeed one of the greatest Vrindavan places to visit. Kumbakonam – the holy of city in Tamil Nadu home to nearly 200 Hindu temples. 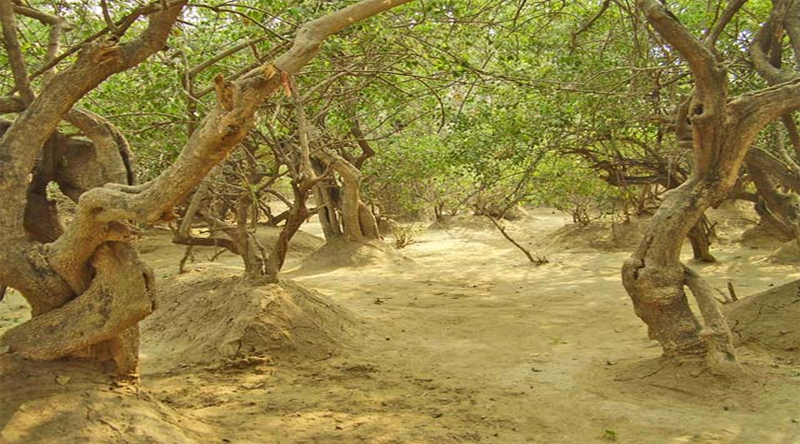 This bank of the Yamuna was a witness to Krishna’s mischief as he would climb a Kadamb Tree, taking along the clothes of gopis while the latter took bath in the river. 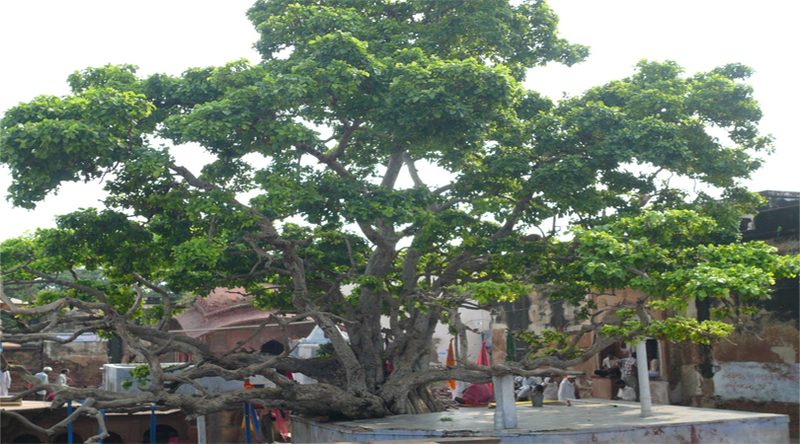 The ancient tree is still present at the spot and is worshipped by the devout visitors. It is believed that circumambulating the place too brings great fortune. Top 5 Buddhist sites in India. 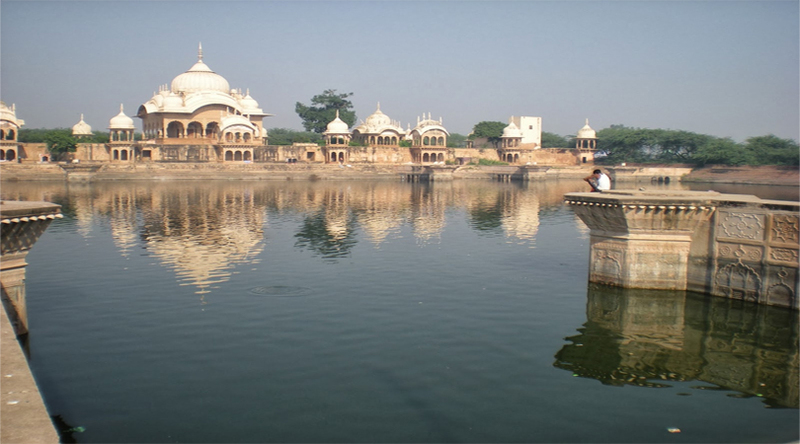 Among the must-visit places around Vrindavan, Radha Kund (pond) should not be missed. As the tale goes, Krishna killed a demon who, disguised in the form of a bull. Radha pleaded with Krishna to take bath in various holy rivers to get rid of the sin of killing the bull. Krishna tapped his feet on the ground and a pond was instantly created and filled with holy water from different rivers. Inspired, Radha and other gopis dug another pond with their bangles. Filled by the holy rivers it is known as Radha Kund while the one dug by Krishna is called Shyama Kund. It is considered auspicious to bath in these ponds. Places to Visit in Kedarnath Dham, Uttarakhand. 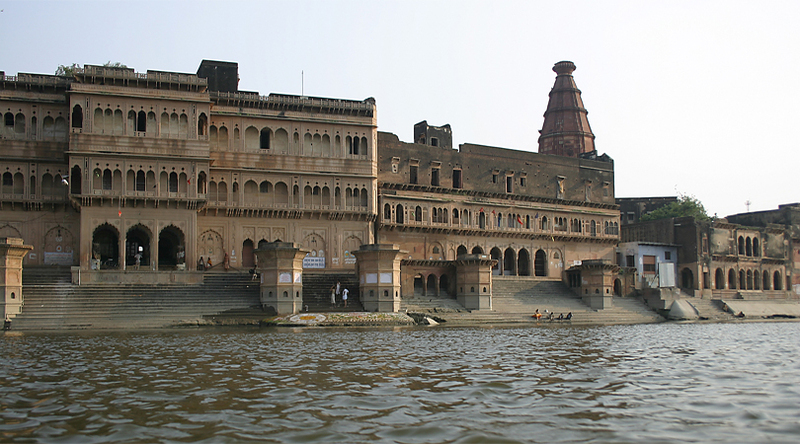 It is another sacred pond near Vrindavan and has a spectacular sandstone monument at its bank. It was here that gopis (who secretly loved Krishna and desired him as a husband) used to pluck kusums (flowers) for Krishna. The mythological legend states that once Krishna climbed one of the trees to pull down a branch so that his lover Radha could pluck the flowers with ease. Known for his naughtiness, Krishna left the branch suddenly, leaving Radha hanging in the air. It was his trick to embrace Radha, while helping her get down. When Krishna killed the demon Kesi (Keshi), he took bath in River Yamuna at this place, one of the most visited places in Vrindavan. Kesi was a horse demon and was one of the many demons sent by Kansa to kill Krishna. Plan to visit this ghat in the evening when the aarti of Yamuna is held, creating an extraordinary spectacle for the viewers. 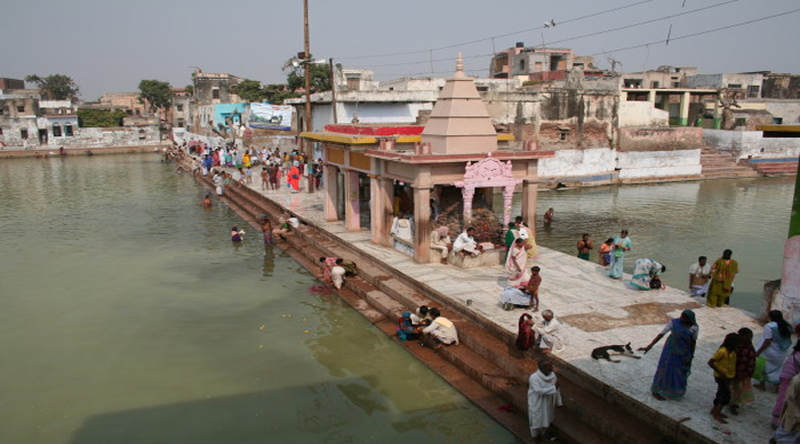 It is also believed that taking bath at this ghat is a way to get blessed by the lord. This Navratri Festival Make Way to Vaishno Devi. Jai Mata Di! Don’t mind, including Barsana in the Mathura Vrindavan tour package and you would not be disappointed. The birthplace of Radha, this beautiful town encircled by four hills (believed to represent four heads of Lord Brahma), it is home to many temples and a number of divine places. Prem Sarovar is the place where Krishna met Radha for the first time, while Pila Pokhra (yellow pond) is the place where golden-skinned Radha dipped her hand to turn its water golden. 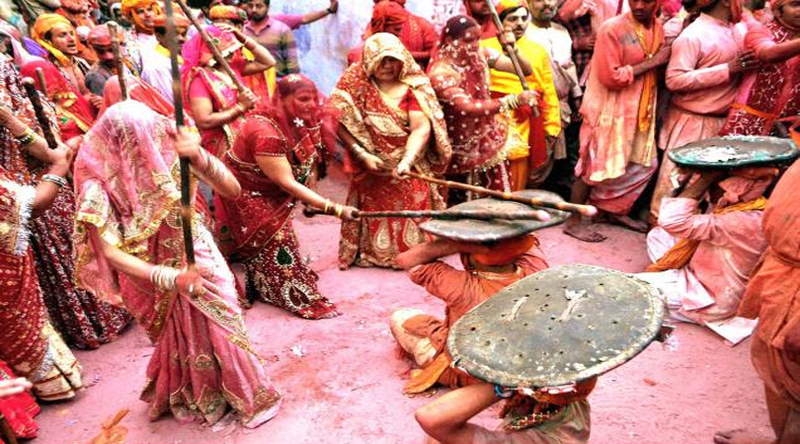 If possible, plan this tour in March around the festival of Holi as the lath-maar Holi of Barsana is one of the best celebrations in the entire world. While these are the best mythological places in and around Vrindavan, you would be surprised to unveil many more on a well-planned tour of this splendid place. Be ready to experience the magic on this spiritual expedition.